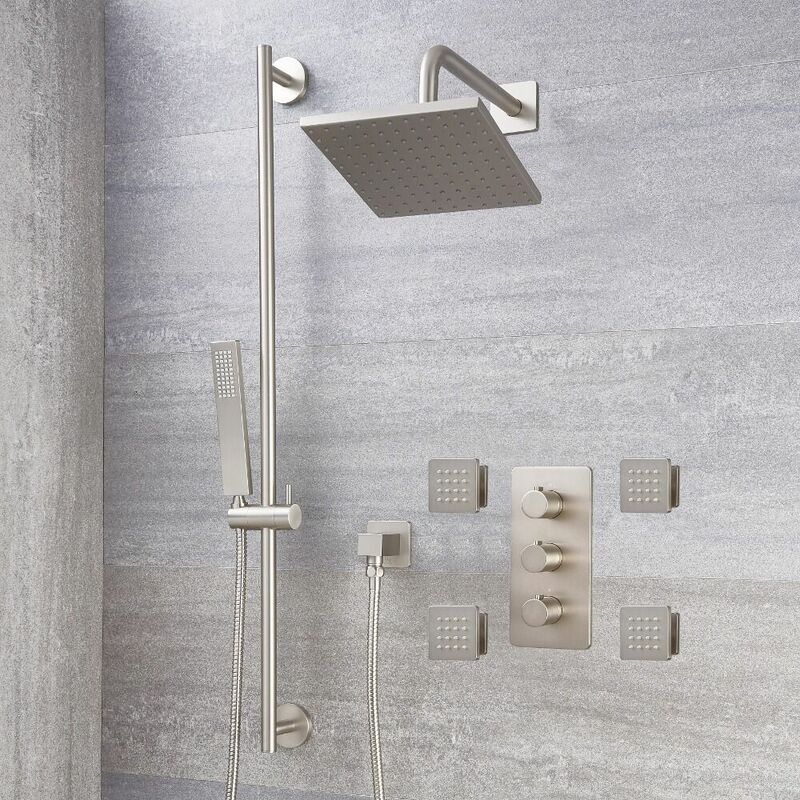 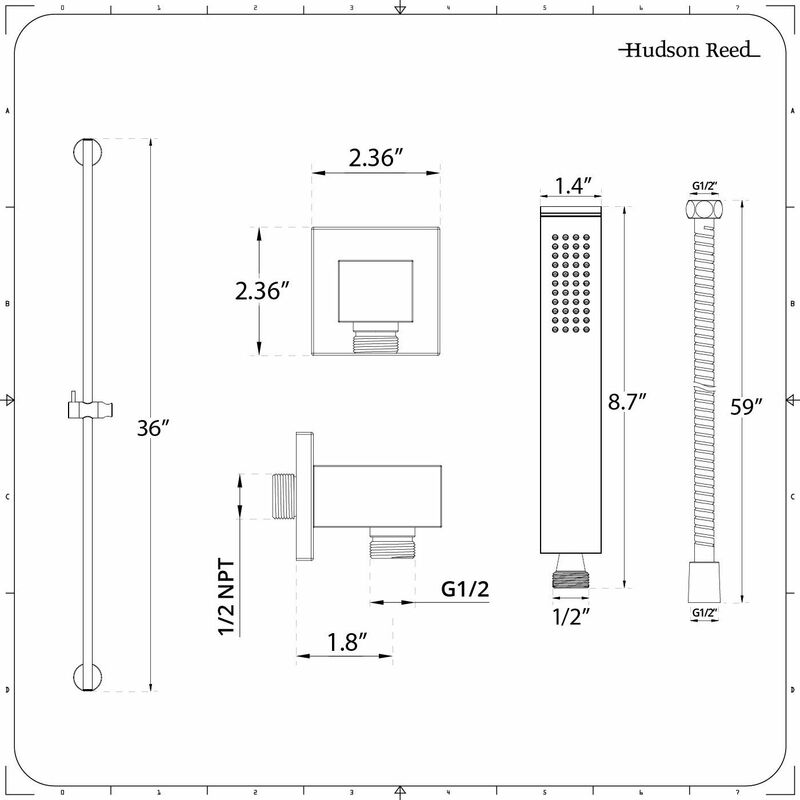 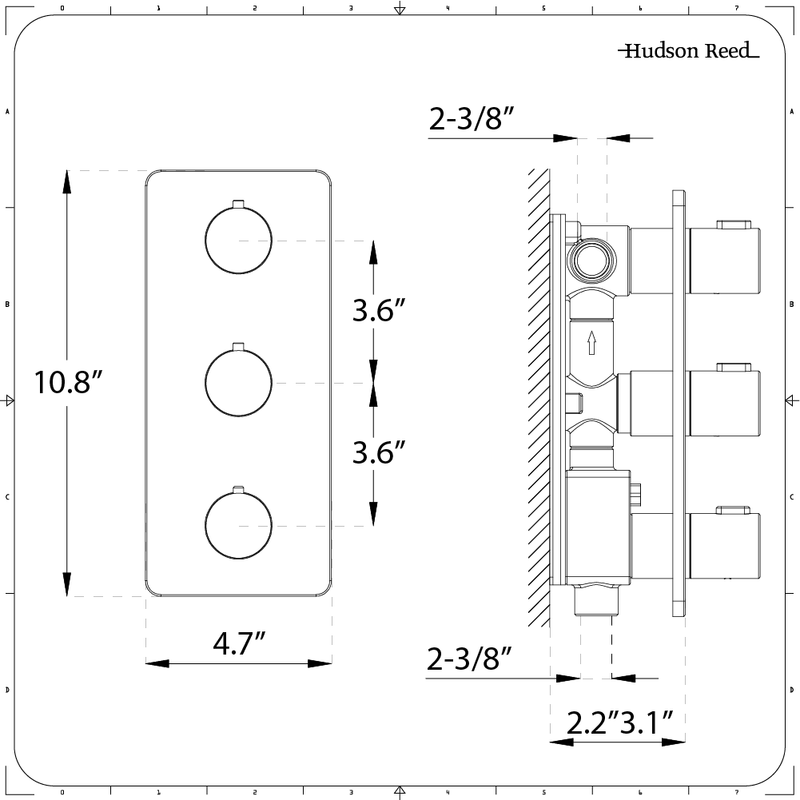 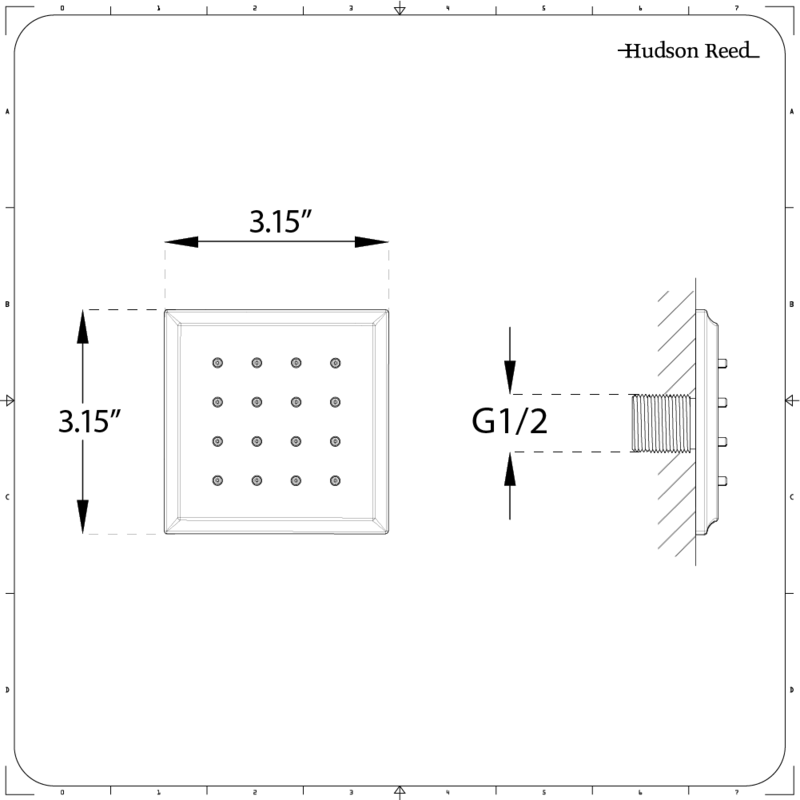 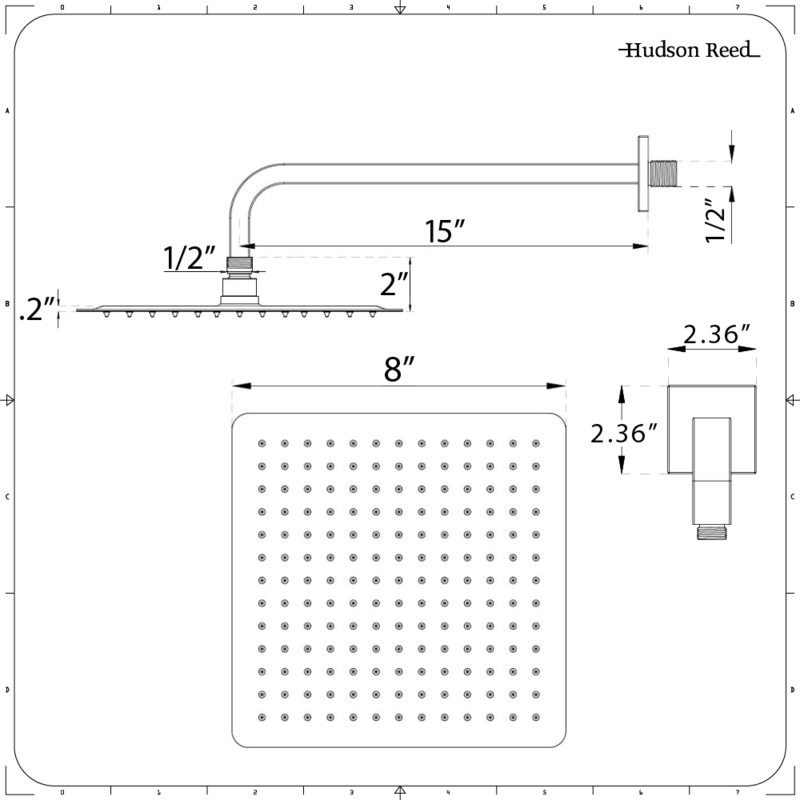 Enjoy a luxurious, spa-like showering experience with the Arcadia triple thermostatic shower valve, 8” square shower head, slide rail kit and body jets. 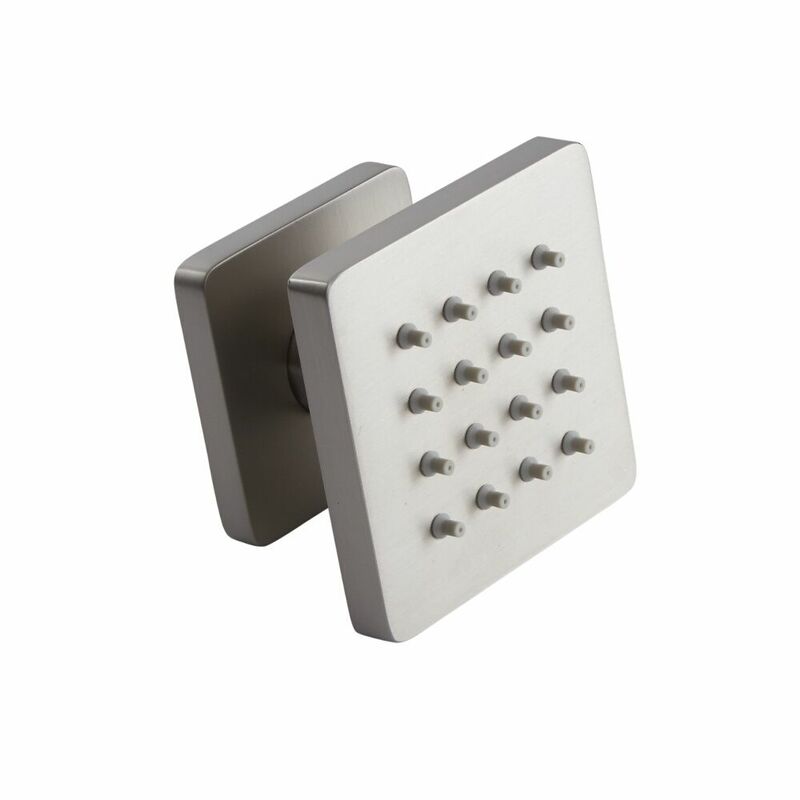 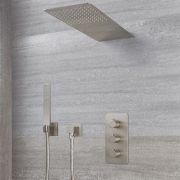 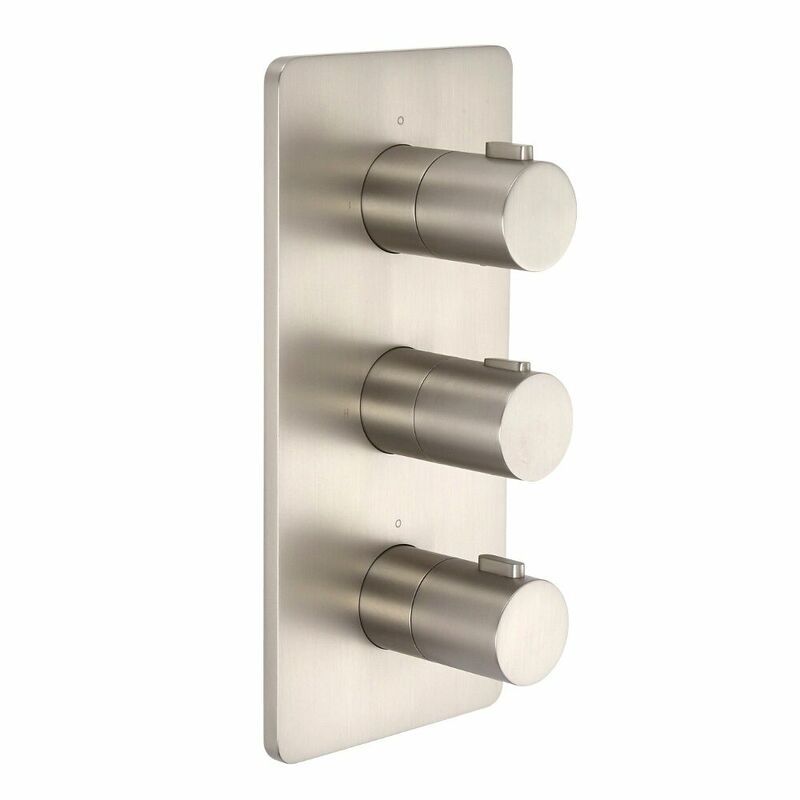 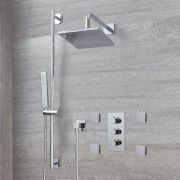 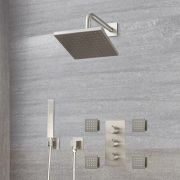 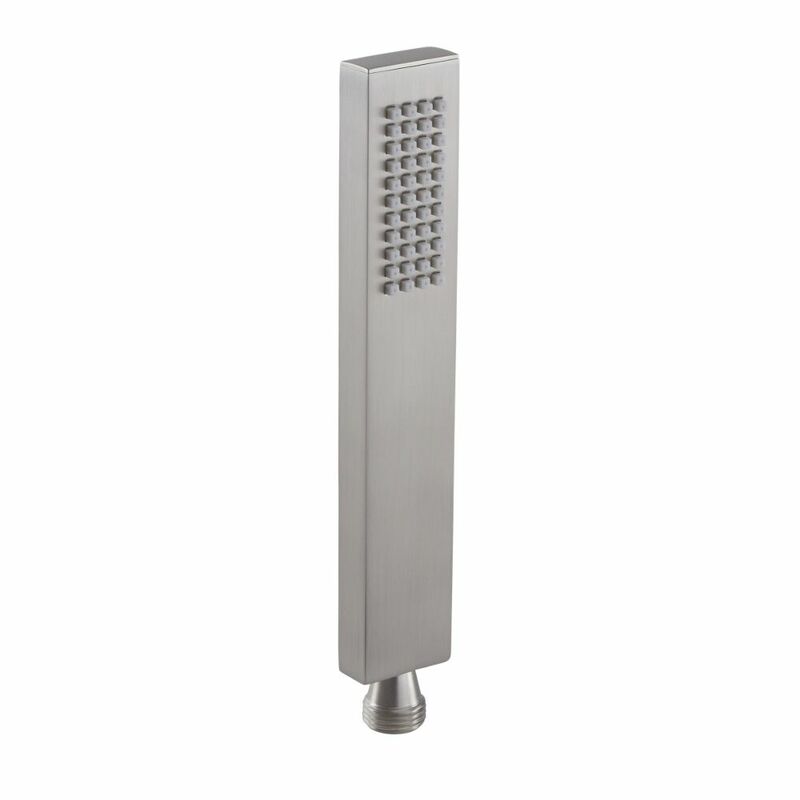 Constructed from solid brass and featuring a lovely brushed nickel finish, the shower valve includes an in-built diverter which allows the user to switch between the shower head, handset and body jets. 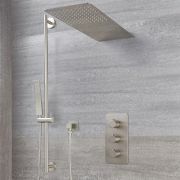 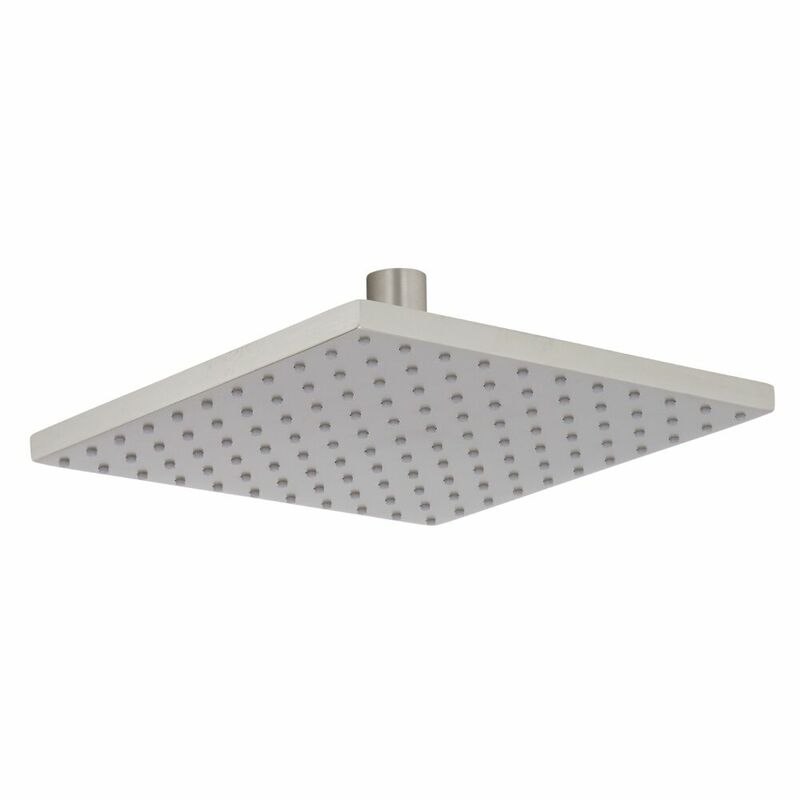 It also makes use of anti-scald technology to ensure a safer showering experience.